Cravendale has unveiled its TV and cinema campaign featuring The Muppets, as part of its first brand partnership. The 20-second spot aired last night (6 February) on ITV during 'Coronation Street', as part of Cravendale's tie-up with the release of 'The Muppets' film on 10 February. 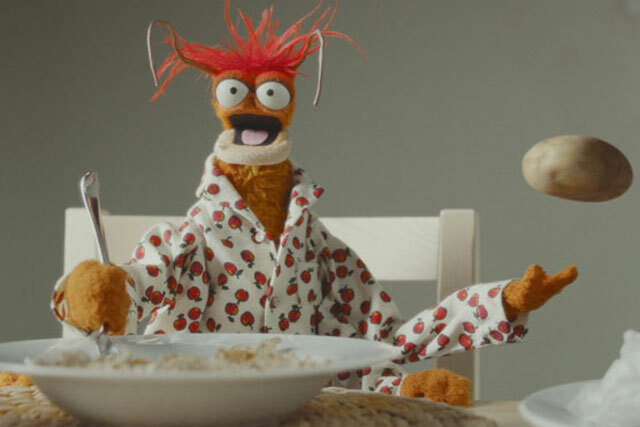 The ad by Wieden+Kennedy features Kermit the Frog and Pepe The King Prawn at a breakfast table. Kermit tells the Spanish prawn about his free backpack, which he received from Cravendale as part of a special giveaway. Pepe responds with a "h'okay". The ad was voiced by actor Tim Curry, who was also behind Cravendale's 'Cats with Thumbs' campaign. The ad was directed by Kirk Thatcher from production company, Soapbox Films. The creative directors were Sam Heath and Chris Groom, who worked with the creative team of Hollie Walker and Freddie Powell. The campaign is being led by an on-pack promotion and includes online activity and a cinema ad, which launches on the same day as 'The Muppets' film. Walker and Powell said: "We wanted to deliver a fairly straightforward message in the enthusiastic tone that encapsulates Cravendale. "Kermit and Pepe the Prawn seemed the perfect duo to deliver that."